“Me neither, until I got Auto-Tuned.” Ba dum tsss! This amazing little quote by the great Hemmingway took me a little while to understand and analyze, but then it all became clear as day. In my own words, I believe it means that by placing a higher importance of one person over yourself and becoming so enchanted by their life, you begin to think anything you do will not be as good and is not worth mentioning. You get lost in the glory of their presence. Whether it be famous celebrities, musicians, Internet icons, writers, or anyone at the top of their game, I think we can all say this “selfish love”, this willingness to follow and admire these people day by day, get to know their ins and outs, be a so-called paparazzo, and forget your life has a purpose as well, resides within us all. This applies to my life and coming across a number of things I thought people did just a little better than me, which made me, in turn, stop to think if I should improve myself to be on their level of greatness or if even trying to reach their level of success is futile and that I should just give up. Yes, they always say you shouldn’t compare yourself to others, but sometimes it can’t be helped because following the “norm” is where the best things lie. There are a number of bloggers, or to be more accurate, actual published writers, on this grand publishing platform that I admire greatly and whose work I place on a higher level than my own. I’m not saying my stuff isn’t good (self confidence pat on the back) but whenever I read the posts of other bloggers, especially those who have been featured on “Freshly Pressed” (a feature I rarely, if ever, use), I get this realization that what I put out would probably look silly and amateur if placed alongside theirs. It humbles me. But we’re not here to compete with anyone, are we? Everyone is entitled to their own style of blogging and being different is what makes everything fun. Like the pile of alphabet letters above – every glyph is unique and serves its own purpose, has it’s own rhyme and reason. 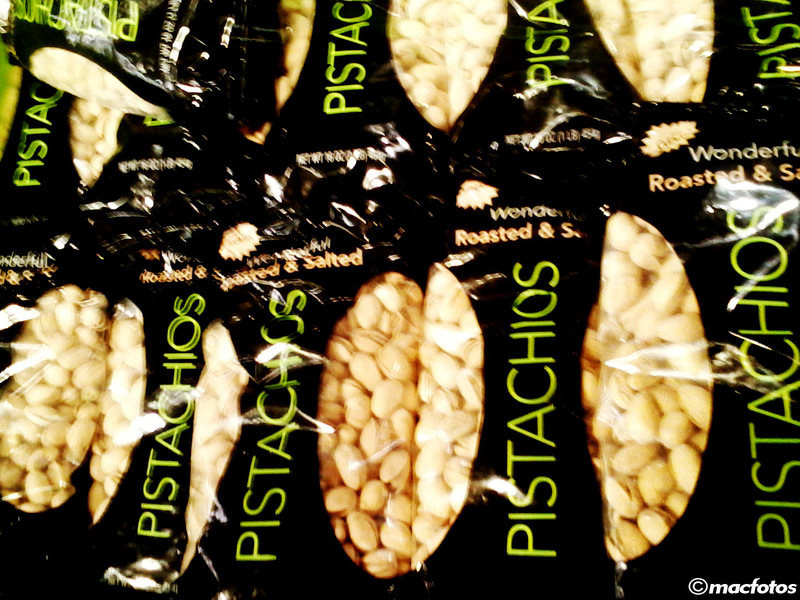 Unlike the bags of pistachios below, all the same, manufactured under a recurring brand, optimized for your enjoyment each time. Learning the tricks of the trade from those who have done it best is probably the best part about blogging (or anything else) since you only push yourself to be better each time. I don’t have any “selfish love” on here since I don’t follow any one person every day and usually am working on my own thing and making myself feel special. There are days when I don’t read anyone’s posts at all, but when one comes along that literally makes me say “Wow”, there clicks in my head the need for more self improvement, admiring what they did so well, wanting to mimic or at least be inspired by it. Being humble and modest, never giving myself too much credit or importance, and not having a big-headed ego keeps me leveled and focused on continuing to improve everytime, instead of assuming I’ve already reached my peak and am already the best I can be. It’s okay to have people you admire and care about everyday, even a person in your family, or a spouse, if you’re married, but don’t let their needs and wants outweigh your own personal agenda. You have a life to live as well, have a right to choose what you like and dislike, instead of catering to their needs. That’s the number one reason so many marriages never last – the balance of power is always out of whack, one side always wants more. Thank goodness I’m not married right now or I would never be able to live my ideal life which right now consists of video making, writing, photography, and anything else on the side that makes up my ideal personality. I’m not saying I ever want to get married but going solo right now has its benefits, for better or worse. That’s the one mistake I made with my last real girlfriend (nearly six years ago in high school); I lost track of what I wanted to do in life, lost track of my goals, my aspirations, since I was so wrapped up in her life (which never amounted to much). I never realized I should have been thinking about the ideal college I wanted to go to, the career option I wanted to study for. That was all put on the back burner and when it came time to start thinking about that stuff, I realized I hadn’t even thought about my future that much, that time was already becoming tight and things felt like they were being rushed, which is why I ended up going to a community college for a year, trying to settle on something until I figured out what I really wanted to do. I don’t regret being in a relationship since it made me feel whole and have emotions I never felt before, but now I realize it was all silly business, a silly teenage romance (we never dated again), and there were more important things I should have been thinking about, which would have made my future today just a tad bit different. But the past is the past and there’s nothing I can do about it. I can only keep looking to the future for the light that finally shines my way. Interesting question. If I didn’t know I was 23 years old, I would have to say I was about 30ish, since I do look and act older than most people in their 20s. Many twenty-somethings are out partying and having a blast hanging out with friends but I’m more of the mature, studious type who would find enjoyment in a board game or writing poetry or reading thought provoking articles. But then again, I don’t have a job right now and find more enjoyment in playing video games and having fun, so maybe I would be around my actual age. When I was 14 in the eighth grade, some kids thought I looked older than that and belonged in high school, which is true since I was held back a year from attending kindergarten. In my opinion though they were just being nosey and too observant of me, since those were the days when I was an awkward adolescent. I believe age is just a number though. You can be 50 and still look young. Right handed, though I have tried to teach myself to be ambidextrous but have given up the feat numerous times. There is logic that right handed people are the analytical, observant type while left handed people are more free spirited and care free. Is this a question for a secret poll being conducted? Is the opposite hand of all who are not ambidextrous going to be cut off? Oooh, an ultimatum, will I die if I DON’T? Anyway, I have a strong liking for the name Luke, since it is easy on the tongue and obviously has a cool connection to Star Wars. My last name? Stormstone sounds awesome. Luke Stormstone – sounds like a fictional hero in a book or movie. I wouldn’t call anything I have “junk” unless you count the crates of old school papers and awards lying around my room. It depends on who comes over. If it’s just my dad or cousin and her kids, then I tend not to care about stuff lying about, but if it were a teacher or a pretty girl that I had just met and wanted to make an impression on, I would make sure to clean up my room; “junk” would go in my closet and I would be sure to sweep the floor and every corner thoroughly. Last week, my dad celebrated his 54th birthday. We went out to eat at Klavon’s, an elegant pizza restaurant that has dozens of HDTVs all around (even little ones you can watch in your booth), and serves the best deep dish pizza I have ever seen – literally one slice can make you full. I am grateful that I get to spend another year with my father, and after seeing all that he has gone through, from having artificial hip surgery to nearly going blind and having to have eye cataracts removed, to struggling to find work after being fired in 2005, I think it’s only fitting to say that I still love him even if we have had our differences. I’m not sure what this first week of March entails for me though I’m looking forward to making more videos for my YouTube channel and exploring more regions of my video production craft. I’m also looking forward to finding a job this week, my first actual job other than an internship. 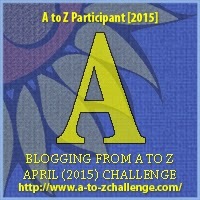 If you had to choose between writing a blog (but not reading others’) or reading others’ blogs (but not writing your own), what would you choose? These days, it is getting harder and harder to keep up with blogging, because for one I have officially gotten into the groove of making YouTube videos again, cutting away a lot of time from my daily posting. Things are getting more elaborate, more time consuming, I’m getting more adventurous, more creative. This is why I have not posted in the early morning in a long while, letting the hours tick away until the time seems right. So trying to make every post from now on seem like I put the well earned effort into making it shine, not typing up something with haste just to keep my streak alive (which has ended now) takes more willpower and time dedication than ever. The habit of waiting until the final hours of the day to post is not very good, because I find myself cramming in words to meet a pressured deadline. The thing that is difficult with blogging day in and day out is that my mind seems to “close off” from wanting to write and I basically feel burnt out, out of ideas, not sure where to turn next, the inspiration well running dry. The social part of the experience also starts to fall behind and I lose touch with the community, which turns out to have some bad consequences (losing viewership, likes, comments, etc.). First of all, I don’t have a fireplace, but if I wanted to chat with someone by a “fire”, the video on Netflix featuring a slowly burning yule log would suffice – but the Christmas music that accompanies might be a little annoying to some. Or, I could just turn on the stove’s gas burner, pull up two chairs, turn off the lights except for that of the oven’s overhead filter, and converse in a secular moment. I’ve never thought of chatting with anyone beside a fire, real or not, and this does seem like an early 20th century thing that has gone out of style. 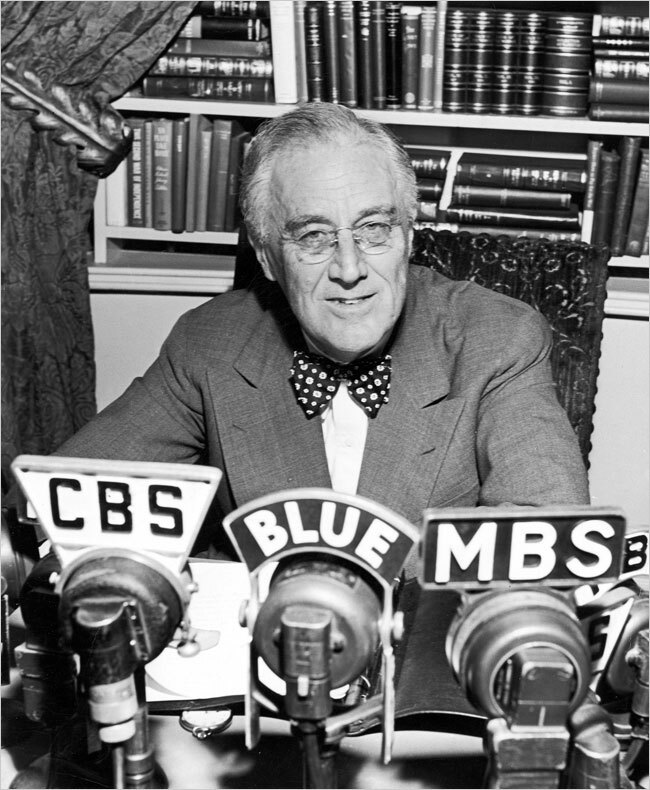 Franklin D. Roosevelt used to have “Fireside Chats” with people over the radio, aptly named because they used to sit by their roaring hearths, all warm and cozy, taking in FDR’s inspirational messages, words of hope, goals for the country to accomplish. It was a way of connecting with his country, getting to know what they liked, wanted to see happen. I guess if current President Obama wanted to have a “Fireside Chat”, it would happen out on Twitter or Reddit, questions and answers coming back and forth, but it just wouldn’t have the same emotional feeling that comes from soaking in the heat of a burning log and hanging onto every crisp word of the commander in chief. Someone who would make a great guest by my little stove top fire, and a person I only know on the surface, would be one of my favorite bloggers, Angloswiss (sorry to single you out), whose real name is Pat. I would love to get to know more about her travels in England, what she grew up with, the source of her witty humor, where she got the inspiration for her blog from, and more about her photographic skills. Her blog, Chronicles of An Angloswiss, was actually one of the first blogs I started reading regularly (or when I get the time to). I know she would be able to tell her life story the same way she writes – with elaborate detail, vivid imagery, powerful, outspoken narrative, and always with a tasteful sense of humor. Mr. Swiss would probably be there too, supervising the whole matter, feeding advice into my subject’s ear. And then after meeting and chatting face to face for the first time, I would set her cats down by the stove top fire and get to know them as well – and I would be surprised that they could speak English as well. I don’t remember this particular blogger’s name, but it was her post that introduced me to WordPress back in 2006, seven years before I started this long running blog; I was merely an unregistered visitor stopping by to check out something interesting in a store window, curious about its contents. WordPress and blogging in general were entirely new things to me, though I had heard about the evolving activity but had never given it much thought. As I was just beginning high school in 2006, then fifteen years old, and my knowledge of the internet was still growing, figuring out how it could be an effective tool in my life was uncertain. Finding this place was merely by chance, the initial doorway to this site being through a particularly intriguing GIF image that I found while searching for something on Google Images, I believe something coffee related, which was the basis of our unnamed mistresses’ post. 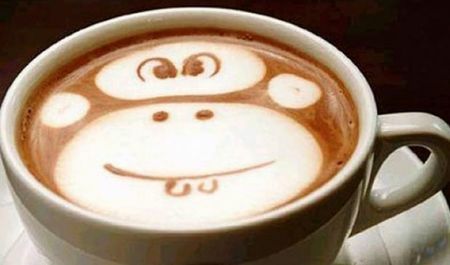 Her post was about her love for coffee and the art that could be made from it, including a picture of a cheeky little monkey formed from the cream being expertly swirled. The post that led me to this land of enchantment was so well structured and full of interesting details that kept me reading until the very end, eager to find out more. I remember reading and having strong thoughts of praise for her writing going through my head. Wow, she is a really good writer, took some time to craft this. Has quite an interesting life as well. Maybe I should try this? The latter I did, but it was very short lived; I made just one post on this “blog”, being in quotations since it was hardly in the definition of such. The post was titled “Hello, World”, and was a friendly introduction, featuring a couple of tidbits about myself that I hoped would get the ball rolling. But it never really did and I never really developed a big interest in blogging since it just seemed like a tedious activity to me back then, having to figure out what to write and how to write it, and the fear that what I wrote would not be very good pulled me away from this creative endeavor. My one post blog, simply titled “Matt’s blog” by default, was deleted seven years later and I’ve been here ever since. The fear of failure is atychiphobia, and I believe I have it day in and day out, but unlike the definition that says people stray away from performing tasks to avoid failure, I happen to go with tasks but don’t expect to achieve success since it has eluded me many times before, my inner self learning to take things with a grain of salt, not wanting to experience feeling of blows to the head, heart being badly broken. While we’re on the subject, I don’t particularly like the taste of coffee, well let’s just say I don’t like the taste of it black, plain, and unsweetened. It’s kind of an unnecessary thing for me and I don’t know why others rely it on so much. Sure, it is a great pick-me-up, the caffeine in a regular cup of joe enough to get you through the day, but as far as the taste, well it’s not very delightful or fulfilling is it? But just like cigarettes, tobacco, and recreational drugs like marijuana, if I started drinking coffee daily I would become addicted to it in no time. It would become a natural part of my life, having to consume it every morning…not exactly a good thing for the teeth. And here is the homepage/dashboard for the 2013 version that my blog began on, quite similar to what it is today. 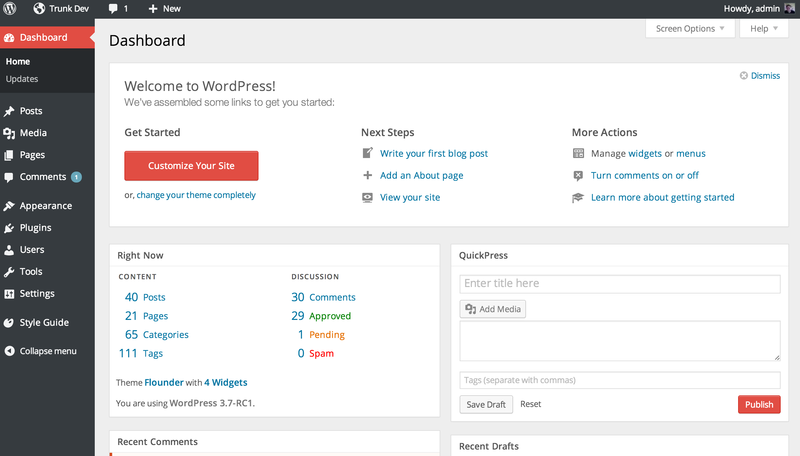 As you can see, WordPress has gotten more user friendly, cleaner, and modern in its design interface, taking away a bit of the learning curve that was with me back in 2006.